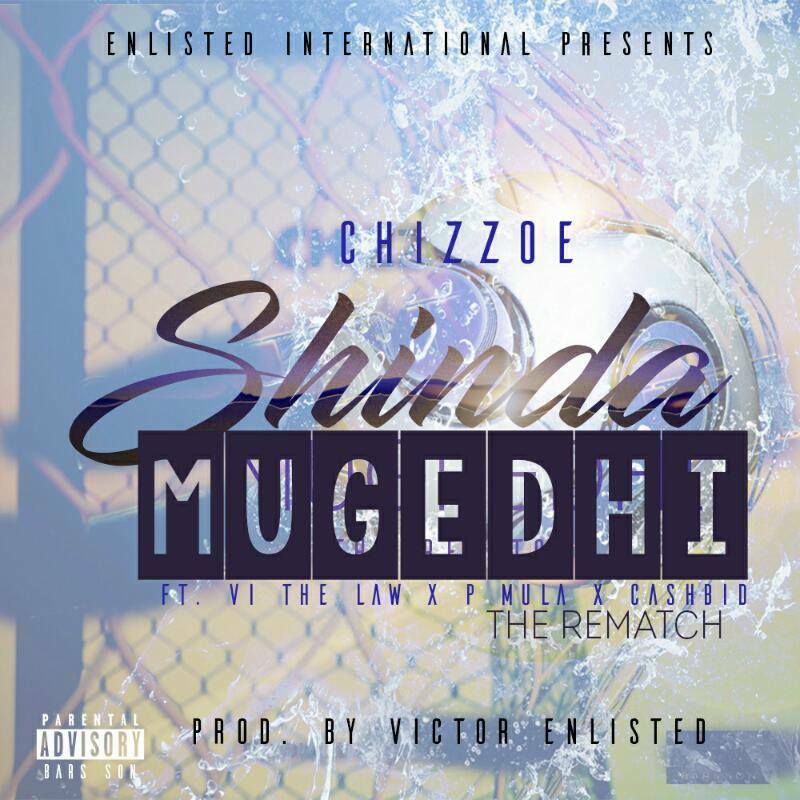 Enlisted International affiliate Chizzoe dropped his second-assisted single in the form of Shinda Mugedhi [The ReMatch] featuring Cashbid, P Mula and VI The Law. Below are my honest thoughts about it. I enjoyed the original "match" of Shinda Mugedhi with Chizzoe showing us how valid his Class 1 Licence is. This one sees him with a couple of his compadres in a rematch (as if it was necessary). The first thing I noticed about this track were the muffled vocals, especially on Cashbid's vocals. I initially thought it was the way he recorded it. Again Cashbid tries to pull an Eminem (read fitting a lot of words into lines), paying off minimal dividends as it comes off like he is trying too hard (doing too much). Next verse. SMH had left out the hook. It is fuego 🔥🔥🔥🔥🔥🔥, P Mula did justice to it (we still haven't forgotten about Believe in Mula). Chizzoe plays striker and is the man of the match, while updating his class 1 licence mileage. Playmaker P Mula comes in while also defending his inclusion on this track. His verse is evident that he has been working on his craft while he was "away". VI The Law comes in with a verse that I'm indifferent about. We get it that he has bars but I think they should've adjusted his section of the beat because the final output haaaaaa. After listening to the track it begs the question, "Was the rematch really necessary?". Maybe I was just expecting more since remixes have a duty to outdo the originals. I'll stick to the original.